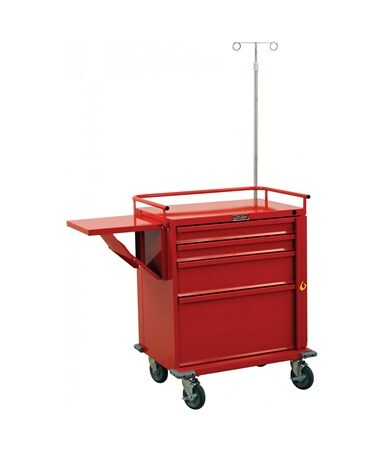 Vertical Drawer Space of 24"
The Harloff V-Series Four Drawer Crash Cart is a medical storage device designed with a high level of quality at a cost-effective price. Sturdy and Functional. 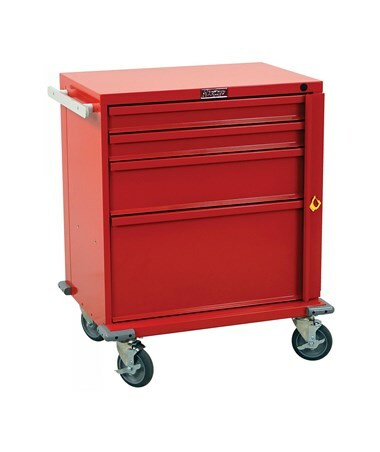 Featuring a steel and latex-free construction, the V-Series Four Drawer Crash Cart is well-built and durable that will surely last. It has a hard-baked powder coated finish with a wide selection of colors. 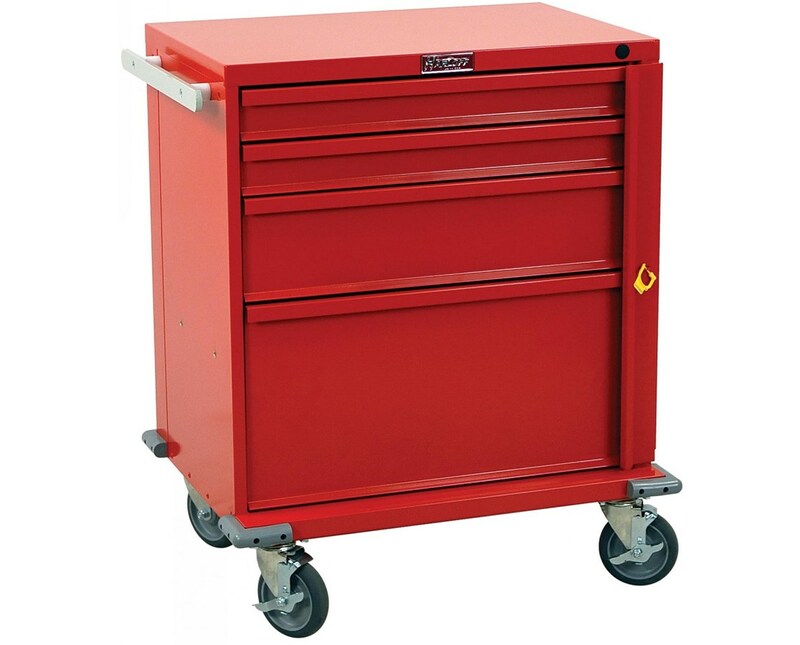 The four drawers are mounted on ball-bearing full extension slides, a vertical drawer space of 24-inches and an internal drawer dimension of 23" W x 16.75" D. With a breakaway lock bar, the cart ensures the drawers stay closed. Safe and Hassle-free Mobility. Mounted on 5" ball-bearing full swivel caster with two that brake, the V-Series Four Drawer Crash Cart, with the aluminum side rail/push handle, can easily be moved around the facility. The base is covered with a bumper frame with projected front casters and four corner bumpers for added protection and increased stability of the cart. Product Weight 98 lbs. or 110 lbs.